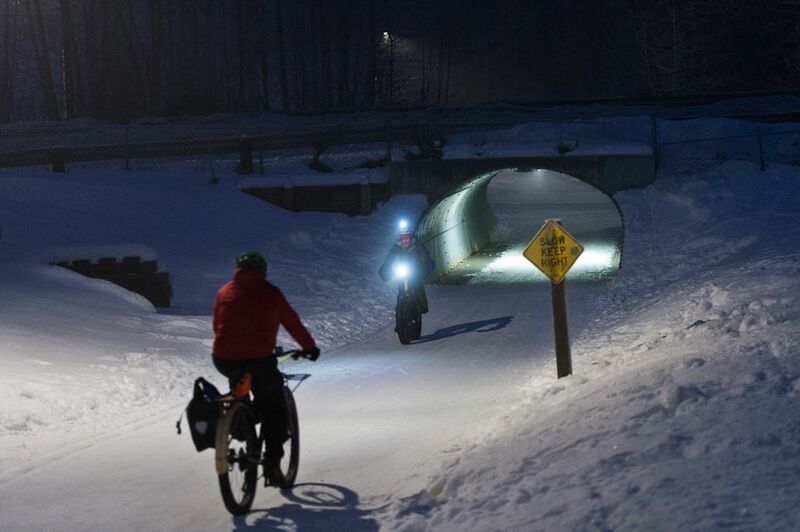 Anchorage is planning a new mountain bike trail that would run along the popular Chester Creek greenbelt south of downtown. 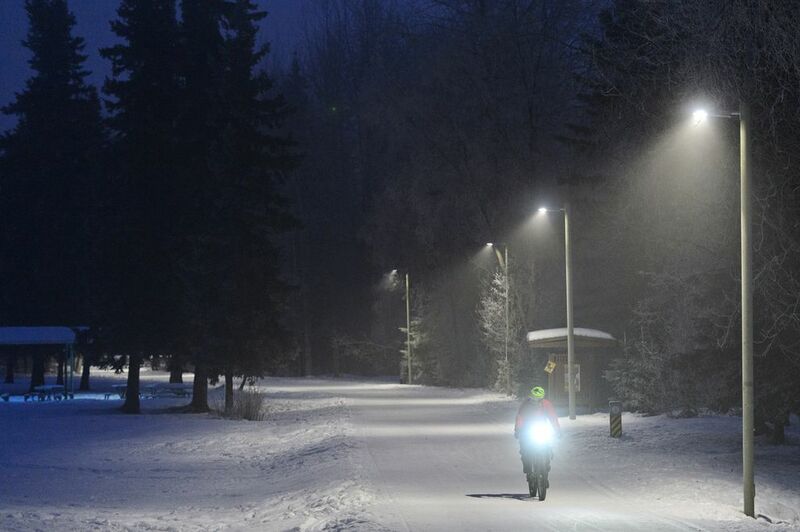 The proposed trail would parallel the paved trail in segments totaling about a mile in the 3-mile stretch between Valley of the Moon Park at Arctic Boulevard and Goose Lake near the University of Alaska Anchorage, officials said. Voters approved a park bond in April 2018 that included $150,000 to design and build the trail. Construction could start as soon as this summer. The proposal grew in part from neighborhood concerns about crime in the greenbelt and a growing presence of illegal camps, officials and advocates say. They say a new trail could discourage bad behavior and more quickly shepherd campers to other housing options. People who have been homeless, meanwhile, say the city should invest in solutions to homelessness, not bike trails. A public open house has been scheduled for Thursday starting at 6 p.m. at Speedway Cycles, 1231 W. Northern Lights Blvd. Officials plan to present design concepts and gather community feedback. No final design exists yet, said Maeve Nevins-Lavtar, the project manager and a city park planner. But the plan now is to develop worn-in social trails on city parkland into a roughly linear, marked dirt trail, she said. Up to 4 feet of dirt trail would be built, allowing two-way traffic for walkers and runners as well as bikers, she said. She said the new trail won’t be lighted but should be visible from the paved trail. 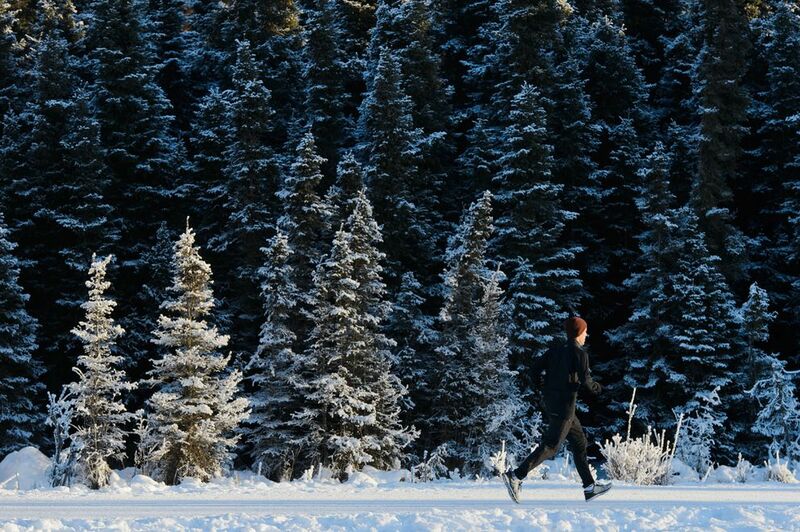 It wasn’t exactly clear how many trees would be cut to make way for the trail. Nevins-Lavtar said some vegetation would be removed, but officials expect to focus mostly on limbing trees for safety. 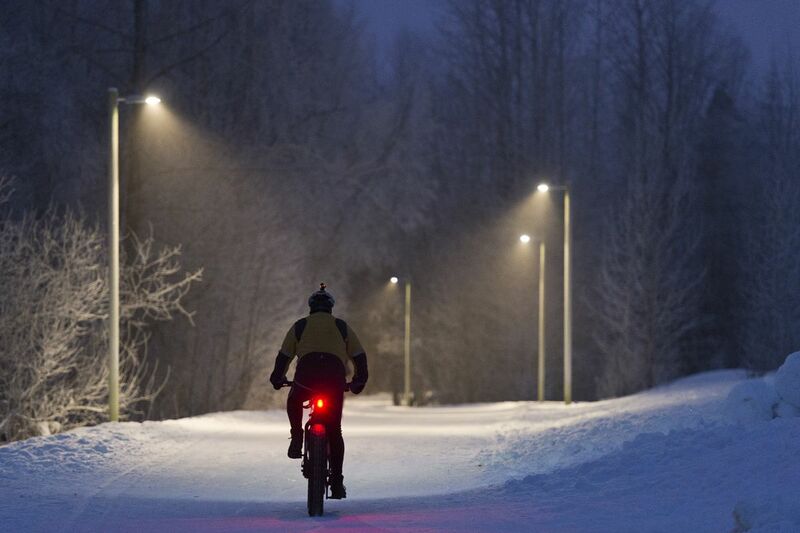 The plans come amid an ongoing expansion of Anchorage mountain bike trails and an uptick in the popularity of both summer and winter biking. The new trail on Chester Creek would be geared toward beginners, Nevins-Lavtar said. 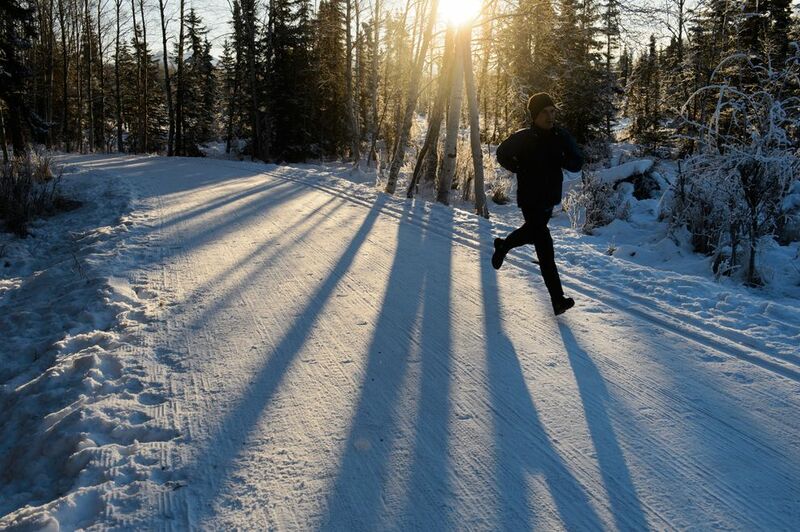 The trail would also expand trail connections and offer an option for downtown residents who don’t want to drive to the Hillside or Kincaid Park to ride what’s known as a “singletrack” trail, said Zack Fields, who helped push the original proposal and is now an Alaska state representative for downtown. But people who live along the city’s greenbelts have also been increasingly vocal about illegal camping and stockpiles of stuff growing in the woods. Assemblyman Chris Constant, who also helped push the original idea for the bike trails, said neighbors in the area feel the land has been “ceded” to just one use. About three years ago, a group of community councils along the Chester Creek Trail, including Northstar and Fairview, started asking the city for help improving the trail system there, Fields said. A list of demands included more police on bikes and more effective camp clearing, according to Fields. The administration of Mayor Ethan Berkowitz took up those demands, Fields said. At the same time, he said, the idea for a mountain bike trail emerged as a way to bring in fresh activity. The Berkowitz administration has made headway in recent years on clearing camps and moving campers to housing or other services, said the parks superintendent, Josh Durand. The city recently launched a new strategic plan called “Anchored Home” that aims to make homelessness a brief, rare event. Last fall, the administration created new policies for quicker camp cleanups while storing the belongings of campers. The Assembly also boosted the budget for camp cleanups. People who have experienced homelessness had a different take on the trail proposal. Holly Reinheimer is a member of the Homeless Resource Advisory Council, which consists of current and formerly homeless people who will be advising the mayor and Assembly on homelessness policy. She questioned whether the money slotted for the bike trail could be spent differently. “Why are we not investing our time into finding a place for those people, instead of just policing those people?” Reinheimer said. Another member of the advisory council, Hank Wentz, once camped in those parts of the city. The camp was a source of privacy when he wanted to hide, Wentz said. “I don’t want to be seen, because I got too much shame, or too much trauma,” Wentz said. There are a very limited number of places where someone who is homeless can go to hang out in the daytime, other members of the council pointed out. The city’s top homelessness official, however, said she supported the project. More people using the trail system could give campers less incentive to stay out of sight and move along more quickly, said Nancy Burke, the city homelessness coordinator. Parks officials had serious reservations with the trail proposal when it first came forward at a February 2017 Parks and Recreation Commission meeting. Durand, the parks superintendent, told commissioners the project shouldn’t happen until the illegal camping problem had been resolved, according to meeting minutes. Durand said in a Thursday interview that as the design plans have evolved, he’s changed his stance. The initial proposal involved circular trails and loops that cut through traditional camp areas, Durand said. “We did not, and still do not, have a comfort level of doing that,” Durand said. As it stands now, the proposed trail will largely parallel the existing Chester Creek paved trail, Durand said. He said it will be designed to avoid areas traditionally used as illegal camps. Durand doesn’t expect a new trail will allay the fears of a person who already doesn’t feel comfortable using the trails in the area. But the development is a “positive step forward toward activating space and taking back our parks,” Durand said. Gary Snyder lives along the Chester Creek greenbelt and helped build a bridge near his house. He said he’s excited by the prospect of the new trail. But he said he also wants to see that it’s done right and doesn’t unduly impact walkers and other trail users. For more information about the project, visit the city Parks and Recreation website.